Lawmakers gave first-round approval April 3 to a bill that would authorize the withholding of certain public information relating to firearms. Under current law, specific types of information may be withheld from the public unless disclosed in an open court, open administrative proceeding or meeting or disclosed by a public entity pursuant to its duties. 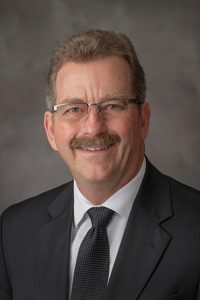 LB902, introduced by Brainard Sen. Bruce Bostelman, would add to those exemptions information regarding firearm registration, possession, sale or use that is obtained by a government entity for an application or permit. Such information would, however, be available to any federal, state, county or local law enforcement agency. Bostelman said the forms listed in the bill contain an abundance of personal information that could be used in a variety of negative ways, including identity theft. The bill would provide a proper balance between concerns regarding transparency and privacy and safety considerations, he said. The bill advanced to select file 32-0.